Mumbai, July 23 (IANS) Entrepreneur, producer and author Twinkle Khanna was “choking” at 30,000 feet in a flight when she was forced to inhale the smell of “dead toads” from a fellow passenger’s socks. “Polite way of telling fellow passenger about the two dead toads in his socks, chemical weapons capable of decimating nations? Choking at 30,000 feet,” Twinkle tweeted on Sunday. Twinkle said she later complained about it to the air hostess. Twinkle is producing “Padman”, which stars her husband and National Award-winner Akshay Kumar. The film also features Sonam Kapoor and Radhika Apte in a pivotal role. Veteran actress Shabana Azmi has shared a photograph of herself with late Rama Bhanot, the mother of Neerja Bhanot. Neerja was a flight purser and lost her life trying to save passengers on Pan Am Flight 73, which was hijacked by terrorists during a stopover in Karachi, Pakistan, in September 1986. “Neerja” released on February 19. Neerja’s mother passed away a few days before the release of the film’s trailer. 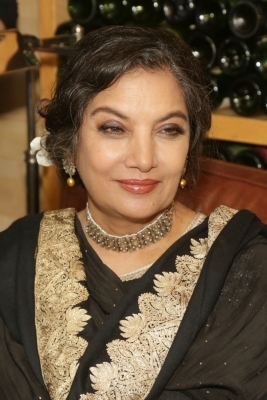 Shabana said she was honoured to play Neerja’s mother Rama in the film, “Neerja”, which was directed by Ram Madhvani. “With the late Rama Bhanot whom I had the honour of playing in ‘Neerja’,” Shabana captioned the photograph. On the acting front, Shabana was last seen in “Sonata”, helmed by actor-filmmaker Aparna Sen.
Sen’s directorial venture is adapted from the play “Sonata” by playwright Mahesh Elkunchwar. The film talks about the life of three unmarried women friends — Aruna Chaturvedi (professor), Dolon Sen (banker) and Subhadra Parekh (journalist) played by Sen, Shabana and Lillete Dubey, respectively — facing mid-life crises.